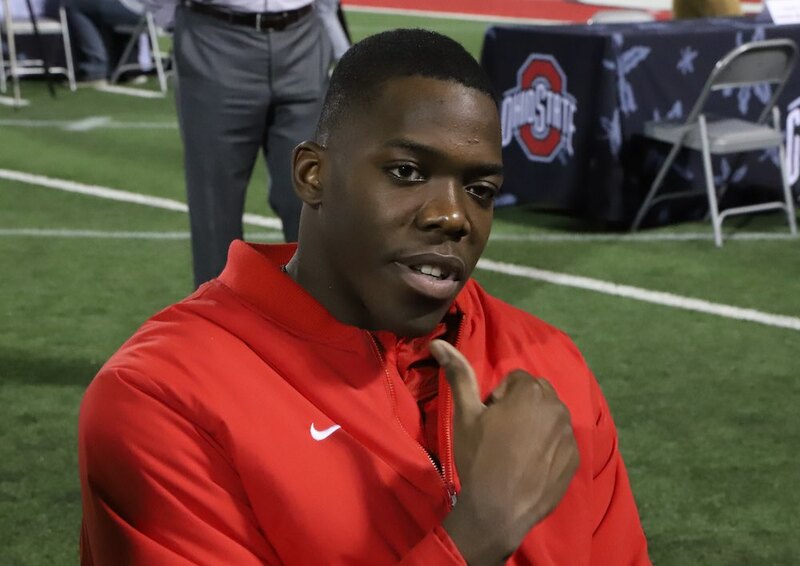 Defensive end Zach Harrison was the highest-ranked recruit signed by the Buckeyes this year. Ranked a 5-star prospect and the No. 12 player in the class overall, Harrison has had expectations placed on him that will take time to live up to. The reasons for those expectations are easy to see. At 6-foot-5 and 243 pounds, Harrison casts an imposing shadow. And running a 10.78 100-meter dash, it isn’t easy for that shadow to keep up. 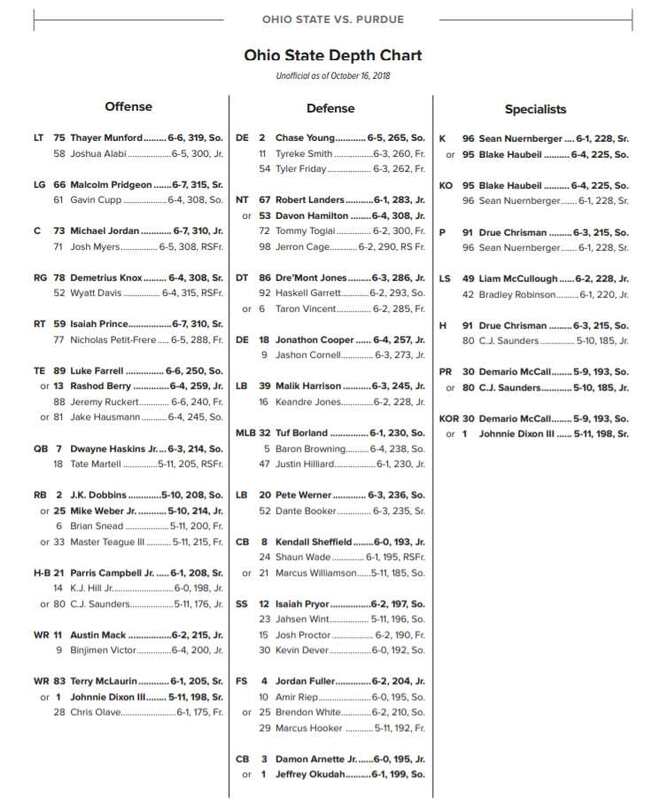 In other words, if you were going to design a freshman defensive end, he would look a lot like Zach Harrison. He is far from where he will be in a few years, but the process is now underway. And it is something that he is looking forward to. Harrison was productive in high school and worked hard in the offseason to be great player. In college, the offseason work starts early and is quite a bit different. While Harrison was in high school, he was generally the biggest and the fastest player on the field. Everybody knew who he was and he could impose his will when he wanted to. Now as a freshman in college and just starting his journey, he is no longer the biggest or the fastest, and just beginning to learn what it takes to be a Buckeye. That can either be intimidating or motivating. One month in, Harrison has seen a glimpse of the requirements of this football program. For some, it can be a reality check. For Harrison, things have been as expected, which is why his focus has been on working hard rather than playing time. It also helps that he is one of eight defensive ends on the roster, which means defensive line coach Larry Johnson doesn’t need to ask more of Harrison than he is capable of providing. He is certainly being pushed, but he is learning all along the way. And when he is ready, Johnson will give him an opportunity to succeed. Harrison has been described as laden with potential, but far from a finished product. This is typical of all freshmen, so Harrison doesn’t take offense to the notion. Harrison has come to Ohio State with tons of potential, but more importantly, he has the attitude necessary for success. At least we don’t need to worry about his development. I just can’t figure out how we almost lost him to SCum of all schools. Any diehard Buckeye prospect would have to rethink his decision if it included SCum as his best choice, wouldn’t they?